Get your hands on this servo from Airtonics today! ..
Metal Gear Bushing Servo.2 Metal Gears, 2 Plastic gears in gear train.Torque: 52.8 oz-inSpeed @ 6v:&..
Black Edition High Torque Digital Servo .11/347 @7.4V The SC-12..
Digital Ultra Torque Ti Gear Dual BB, 333ozin .15sec Does not include the aluminum servo arm. .. The HS-7954SH could be considered the most economical high voltage, high torque, coreless servo on t..
High Voltage Coreless Digital Servo, Low Profile, .085/208.3 @ 7.4V .. Step up to a nice quality metal gear servo for your RTR. Nearly double the torque of most 1/10th sca.. The HS-225BB is deal for applications that call for a small lightweight, high speed, high torque ser..
Reedy's HV Digital Metal Gear Servos are a quality upgrade for RTR vehicles with speed and torque .. The SC-1267SG servo offers you the complete package. 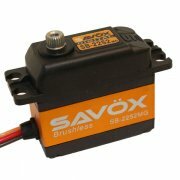 With good speed and torque, this servo makes..
Savox Gear Set For SW0231MG. ..
SAVOX HIGH TORQUE DIGITAL SERVO .11/347 @7.4V Unregulated LiPo battery for extreme torque! The SC..
Black Edition Standard Size Coreless Digital Servo .08/166 @ 6V .. This is the Savox SC0252MG Metal Gear Digital Servo. FEATURES: Precision metal gears forms ..
WATERPROOF STANDARD DIGITAL SERVO. 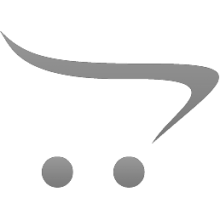 The SW0231MG is a budget friendly waterproof digital servo with ..
Standard Traxxas High Torque servo. Standard in many RTR kits before the Blue servos. • 86 oz-in tor..
• Transit time 0.23 sec/60° • 80 oz-in torqueHigh-Torque Waterproof Servo ..
• Transit time 0.23 sec/60° • 80 oz-in torqueHigh-Torque Waterproof ServoThese Have Been Removed..